‘The Monetary System of The Golden Horde’ was the last book of a prominent Russian historian, the Late G. A. Fedorov-Davydov (1931–2000). The author of many books and articles, G. A. Fedorov-Davydov was a recognised expert in Russian and Tatar numismatics, archaeology and history. The Golden Horde and its monetary system was the focus of his scientific interests and, in many respects, this book sums up the author’s views on the history of the Horde coinage which was closely connected with the political and economic history of the region. 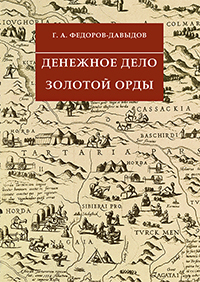 The first chapter of the book is devoted to the history of Golden Horde coinage. The autor establishes principales of monetary circulation, reconstrcucts wights units of coins, describes principales of coins decoration and traces four periods of the development of the monetary system of Golden Horde. 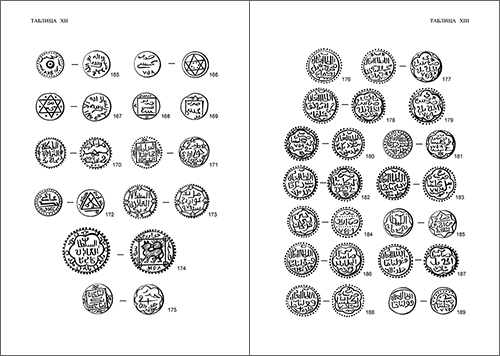 The second chapter of the book provides a complete description of 175 hoards of Juchid coins which the author came to know over the recent years. The description includes the date and location of each find, hoard contents, reference to a museum (or other institution) where the hoard is stored as well as bibliographical notes if the finds were published. 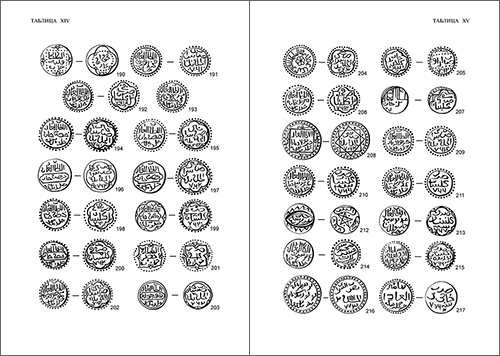 The catalogue of the Golden Horde coins presents a description of 614 specimens. Each coin type is provided with the date and place of mint, a translation of the inscription and a drawing of the obverse and reverse sides. This is the most complete catalogue of the Golden Horde coins ever published. 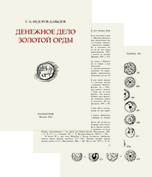 The final section of the book presents a bibliography of publications on Juchid numismatics. Compiled by the colleagues of G. A. Fedorov-Davydov, this bibliography includes 510 references in chronological order. It is the first attempt to cover the most significant publications on The Golden Horde numismatics and related subjects. There are also author and subject indices.